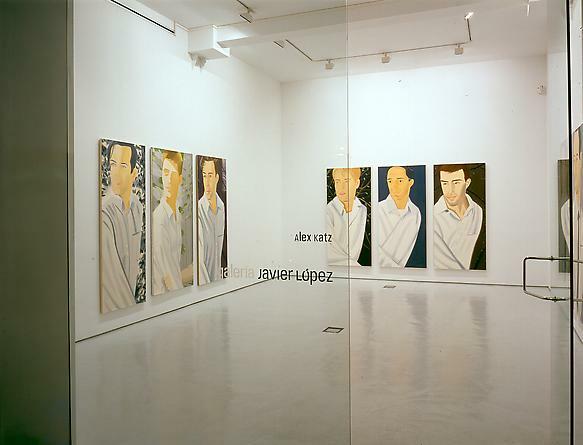 Galería Javier López is pleased to celebrate the opening of this season, 2005-2006, with a solo exhibit by American artist, Alex Katz (New York, 1927). This would constitute his second show at our gallery. 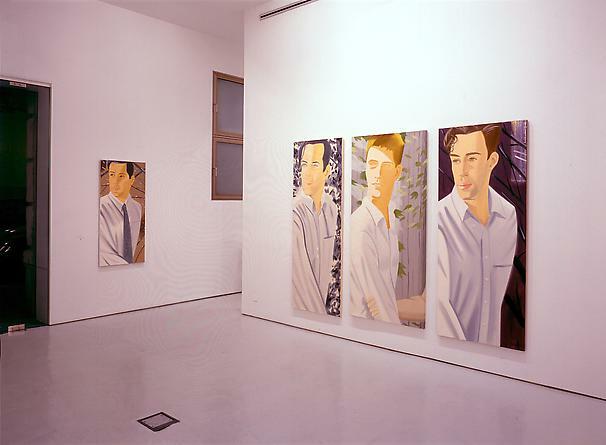 Galería Javier López presents a series of his canvases, “Man in White Shirt,” and a selection of his studies, landscape paintings on wood. Despite notable influences from different art tendencies, his work is difficult to place. Katz was a contemporary of the second - generation abstract painters in North America. For example, Katz turned his attention to large format canvases highly influenced by Action Painting. On another note, his loyalty to figurative art led many critics, coinciding with the blooming of Pop Art in the early 60s, to consider him as one of the most ingenious pioneers of this nourishing art movement. There is no doubt that his art shares with Popism a clear influence from mass media reflected in the iconic transformation of images or the repetition and fragmentation of motifs. All these acquired distinctiveness, characteristic of Pop Art, are too present in the oeuvre of artists from the period like Rosenquist or Warhol. But the fact remains that his choice to exploit light, making it the modular element of his pictorial surface, goes in detriment with Pop graphics. Despite, his clear abiding interests with other artistic groups, his work does not easily fit into any of the artistic movements that have been defined in the second half of this Century. His paintings seem at first glance to convey an apparent innocence and simplicity. But, these characteristics only shadow off momentarily the great complexity embedded in his work. 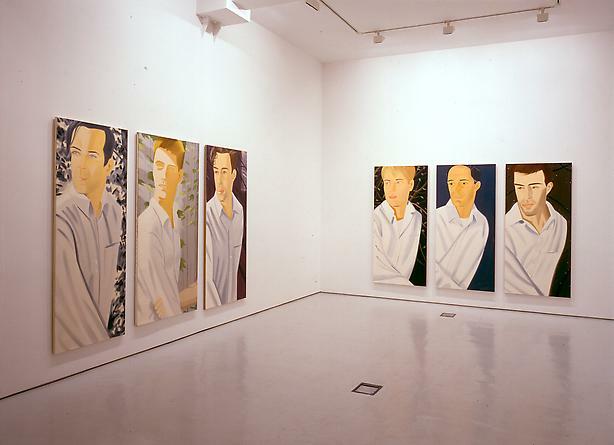 Alex Katz’s paintings are characterized by their smooth surfaces in which it is almost impossible to notice the slightest painterly trace. In order to achieve such quality end results, his work follows a complex step-by-step process. 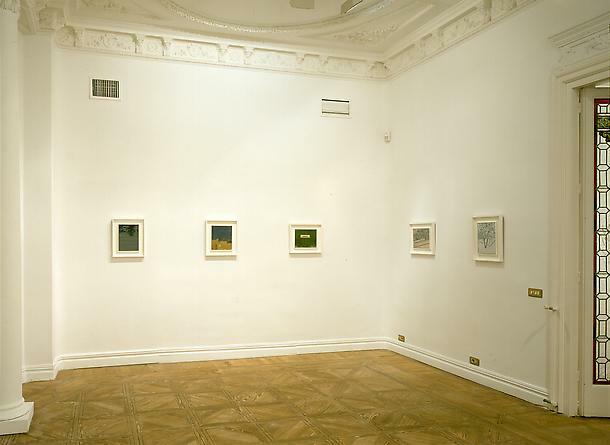 For this reason, Galería Javier López has decided to unfold the underlying process, by displaying one of the oil on canvas works next to its preparatory drawings and sketches. To a certain extent, his work recalls fresco-painting techniques. When Katz begins a piece he draws from life on location, producing the first meticulous drawings. On these mere studies, he writes down the chromatic and luminous aspects that he will later on carry out. The outline of the final design is laid down on a heavy paper and then riddled with holes so that when powdered burnt sienna pigment is dusted over the drawing a trace of the final composition is left on the canvas surface which is laid beneath. His canvases are invariably perceived as the antithesis of expressionist “action painting;” he lays several layers of plaster and white lead on the canvas, followed by light oil brushstrokes. Katz works mainly with oil colours; a pigment, which in his own works: “ages well and adjusts best to what I do.” The end result to this multiple stage process is: his characteristic style, flat smooth surfaces. 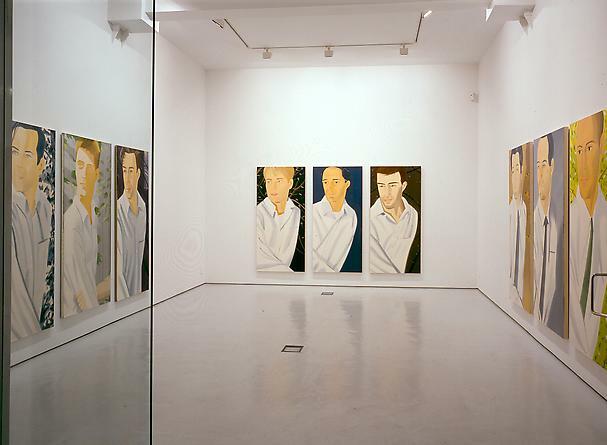 Through out his career, Alex Katz’s work has been well represented in numerous retrospective exhibitions, itinerant between Europe and the United States. 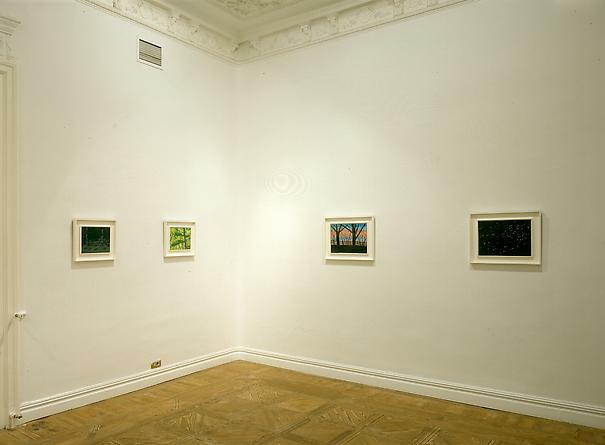 He had his first private show in Spain, Valencia, at the IVAM in 1996. His most recent exhibition has been held at the CAC in Malaga.